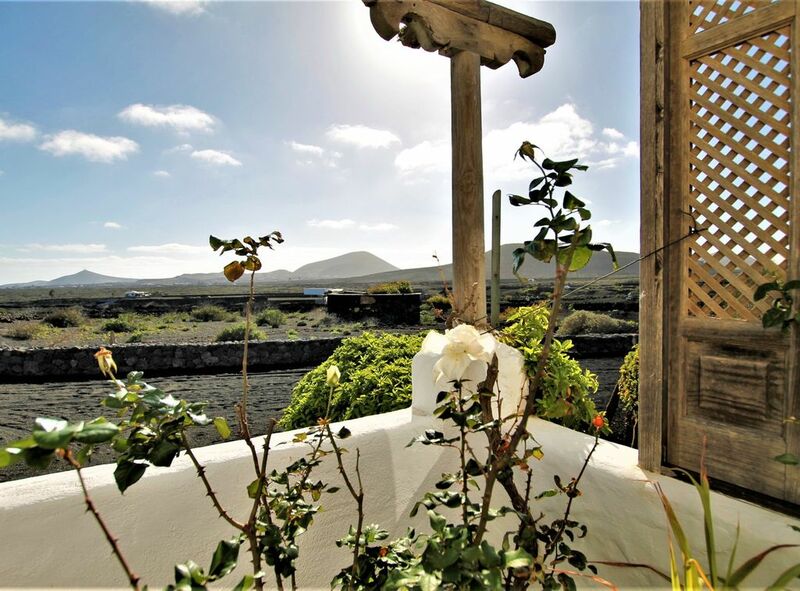 This beautiful eco-friendly country house is located in La Geria, just 20 minutes' drive from the Timanfaya National Park. Enjoy views of the volcanoes and a beautiful garden. The House It has 3 bedrooms, on the ground floor it has a bedroom with two single beds a living room with sofa bed and terrace, kitchen, dining room and bathroom with shower. On the first floor a Suite with service with an additional shower, another room with two single beds, on the upper floor there is a mezzanine with two single beds. Large windows and incredible views, wooden ceilings. Finca Tisalaya also has a studio and an apartment that is rented independently, is surrounded by volcanoes and offers a picturesque environment. It is a 10-minute drive from the nearest town and just 12 km from Lanzarote Airport. Muy tranquilo y relajado en el paisaje hermoso!